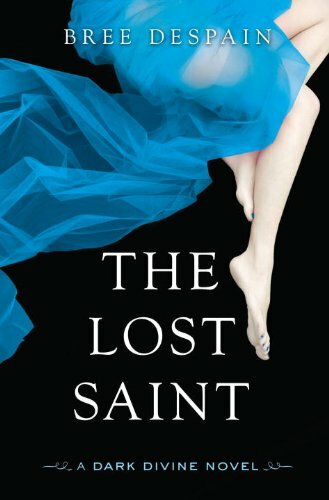 The Lost Saint is the second book of a young adult trilogy, continuing the story of The Dark Divine. In the first novel, Grace Divine, the daughter of the town’s pastor, struggles to learn the secret between her brother Jude and his best friend Daniel. Daniel is like a brother to them both, but Jude hates the sight of him now, and the night Jude returns home, bloodied and maimed, stands at the heart of his hatred. In The Dark Divine, Grace learns what that secret is, and she becomes a major player in the deadly drama. Daniel and Grace discover they have feelings for each other that extend beyond simple friendship, and Grace proves it when she sacrifices her soul to save him—but in the process she loses her brother. This is where The Lost Saint picks up the story. Grace’s brother Jude has disappeared. His disappearance has practically destroyed the family. Their mother is a lifeless shell of a woman; Pastor Divine, their father, is hardly ever home as he searches for his son; and even Grace’s relationship with Daniel, the one she risked so much for, is on the skids. Grace is so sure she has what it takes to become a superhero, the one who can save the town and those she loves from the evil that has seeped in, but it’s not as easy as she thinks. She puts her trust in Talbot, the new guy in town. He encourages her to indulge and develop her newfound powers and abilities. Is Talbot who she thinks he is or is he part of an elaborate ruse to destroy Grace and all the ones she fighting so hard to save? The Lost Saint is part paranormal romance, part mystery, and all exciting. It’s a story that pulls in the reader and doesn’t let go until the last page. The writing is quickly paced and establishes continual tension that makes it hard to put down the book as we want, no need, answers to the mystery that is unfolding and building to its exciting conclusion. Questions are answered, but the conclusion only reveals still more, ending on a shocking cliffhanger that leaves us anxious for the next installment. The author has taken a classic supernatural creature and put a fresh spin on it.